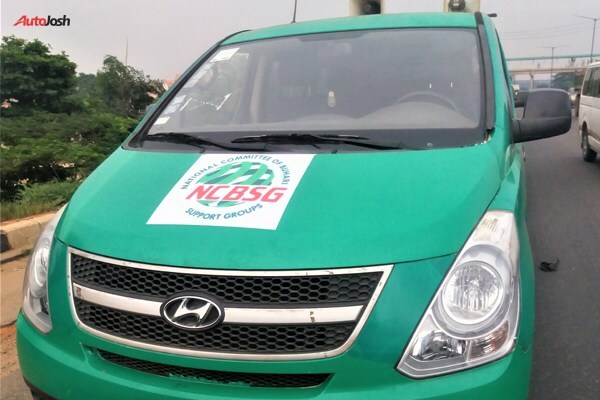 A gubernatorial Aspirant in the just concluded Kwara All Progressives Congress (APC) primaries Alhaji Yakubu Garba Gobir has donated about 100 branded Hyundai Buses to support the 2nd term bid of President Muhammadu Buhari. 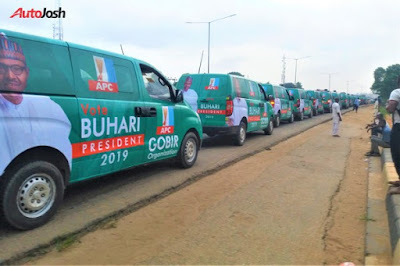 Gobir who will be turban in few days time on the 19th - 22nd of this November in Daura, president Muhammadu Buhari's home town as Waziri Hausa made this huge donation as his own contribution towards the 2nd term bid of president Muhammadu Buhari. Early yesterday morning, a very lengthy convoy of 2009 Hyundai H1 were sighted at the Lagos end of the Lagos-Ibadan expressway. 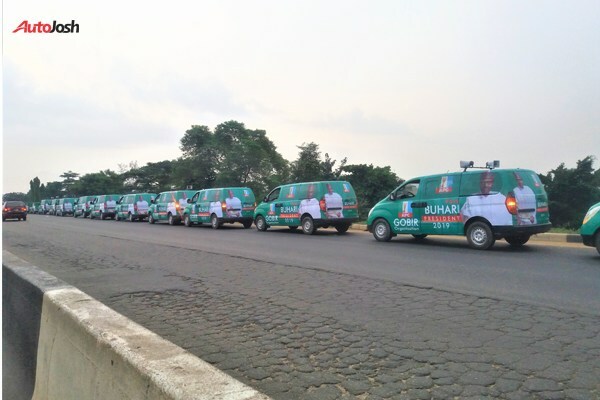 And these vehicles were all uniformly branded with the campaign messages to promote the re-election aspiration of President Buhari. 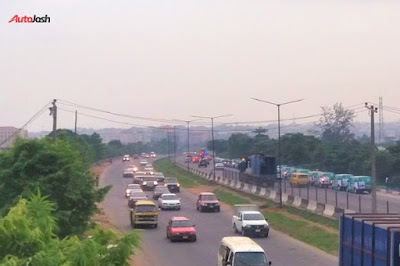 The buses were being driven out of Lagos state. According to our findings a Tokunbo 2009 Hyundai H1 costs about N 7million. 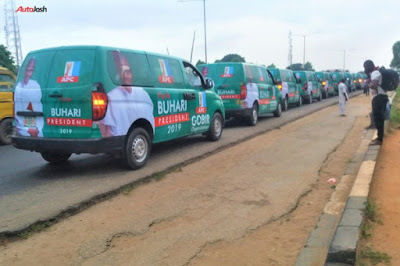 While the brand new cost N14million and the cost of a Nigerian-used one averages about N2.5m to N 3m. 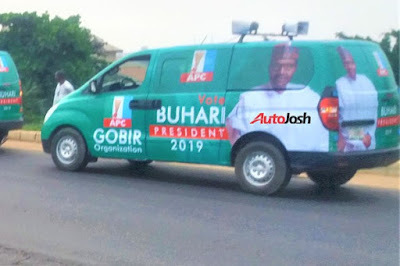 It's all about 2019 elections...politicians, make una do well o....Nigerians are watching and not smiling o.